I’m a movie buff. Not an indiscriminate one. I draw the line at certain genres. I don’t do dumb. Or questionable. I love a great story. And humor. Romance. And memorable characters. I love movies like “Leap Year”, “You’ve Got Mail” and “Runaway Bride”. True, passionately fun love stories. The elements of romance intertwined with beautiful people who fall madly in love with each other. Basically, stories that make me feel good or that tickle the kid in me. I was recently watching “The Lion, The Witch and the Wardrobe” while I was getting some work done. A great story filled with a despicable villain, outlandish trials, horrific betrayal, a powerful hero and incredible redemption. In a make-believe land that offers the best and the worst of what life there had to offer. Throw in talking animals, fauns and every other type of mystical, magical character and you’ve got a formula for memorable fun. A wonderful story. 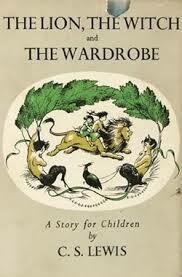 I read all the “Chronicles of Narnia” many times over growing up. The stories captured my imagination and developed in me a love for the fanciful. It was where I learned about the significance of story in communicating truth. Recognizing the story in each of us and how it fits with the bigger life story. It’s why many people love movies–we’re drawn to story. “The Lion, The Witch and the Wardrobe” is the Easter story. A magical land is defeated and brought under the subjection of the White Witch, who always makes it winter but never Christmas. The inhabitants of the land live with fear and suffering. The evil Witch rules by demands, threats and harsh punishments. A prophecy was made about four human children entering the land and bringing an end to the Witch and her reign. The real ruler of Narnia is a majestic lion named Aslan. 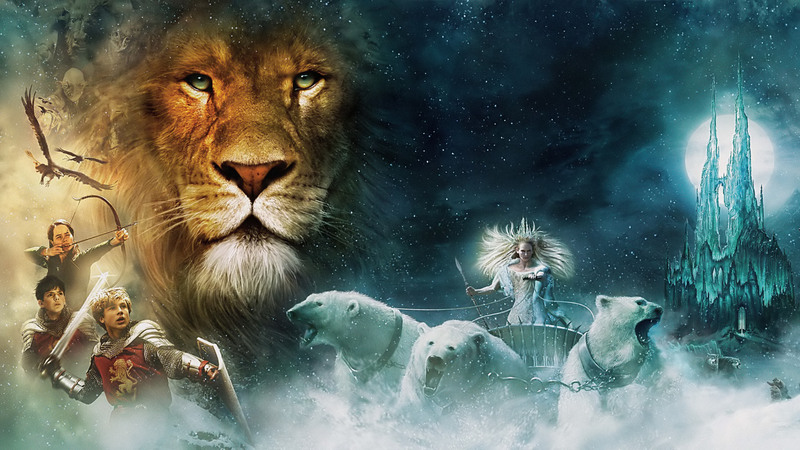 When one of the four children betrays his siblings because he is entranced by what he believed the White Witch could give him, she reminds Aslan that the boy’s blood is hers. The deep magic of Narnia demands that betrayal has a price. Death. Aslan redeems him–by offering his life in the place of the traitor. One of the most powerful scenes in the movie is when Aslan, after being murdered by the Witch, conquers death. He explains that when a willing substitute who has committed no wrongs offers himself in place of the one condemned, even death turns back on itself. The story of Jesus. A great and powerful story of sacrifice, redemption and love. All the elements of a grand narrative. The kind of plot with twists and turns that movie makers dream of. And it’s real. The Lion lives. Redemption has been offered to us. The ultimate sacrifice has been made. Out of love. Knowing the storyline doesn’t mean you’re part of it. We each need to choose how we will participate. How have you engaged this story? Posted by daylerogers on April 2, 2015 in Uncategorized and tagged Beauty and the Beast, betrayal, Easter, Frozen, humor, Jesus, Leap Year, love stories, movies, Princess Bride, redemption, Runaway Bride, story, The Chronicles of Narnia, The Lion, the Witch and the Wardrobe, You've Got Mail. Beautiful….I really do love this redemptive story, and you write about it so well. (And btw, another reason I like you so much is that we love the same movies!!!) Happy Easter. my fellow new-life celebrant! Love to you. Two peas in a pod, my friend. We’ve been loved much by Him who chose us. How do we not return that love? Thanks for the encouragement, sweet pea. Thank You, Dayle – this is indeed the Loving/Blessed Easter story and Curt and I have engaged in it with you and John. As well, people need to KNOW how they will participate! Happy Easter, Lo! So good to be on this journey with you and Curt!